InterMine's mobile apps allow you to carry the power of multiple InterMines in your pocket. 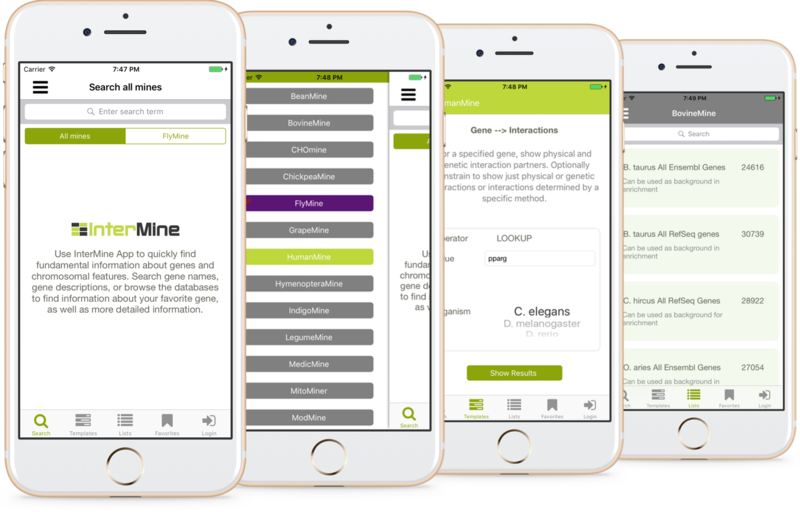 They include a cross-InterMine search tool, as well as alowing you to browse lists, templates, and to create a selection of "favourites" - perhaps a set of publications to review or a collection of interesting genes. Search genes across multiple InterMines, as well as viewing lists, templates, and creating favourites. Developed by Daria Komkova. Developed by Nadia Yudina as part of Google Summer of Code 2017.